World renown Indoor Air Quality (IAQ) firm makes improving building health and energy efficiency easier for city, county and state government agencies, as well as educational institutions and non-profits with TIPS cooperative purchasing contracts. Clearwater, FL Pure Air Control Services, Inc. (Pure Air) announces a new vendor partnership with The Interlocal Purchasing System (TIPS) that will make it easier for TIPS’ members to procure IAQ testing, analytical and remediation services. Over time, dust, debris and microbes can build up within the Heating, Ventilation and Air Conditioning (HVAC) system. If not properly addressed, this fouling can be detrimental to the odor, thermal comfort and energy efficiency of the building. 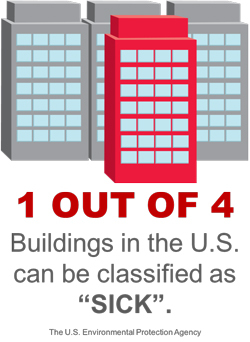 Consider this: The U.S. Environmental Protection Agency has found that 1 in 4 buildings in the United States can be classified as “sick”. It is estimated that 64 million workers experience two or more symptoms of Sick Building Syndrome which can include sinus inflammation, eye irritation and headaches. Reducing these symptoms through better IAQ and properly maintained HVAC systems can lead to as much as $30 billion in productivity gains! For more information on Pure Air Control Services, Inc., and their TIPS Cooperative Services contract please contact Alan Wozniak at 1-800-422-7873 ext. 802 or Contact Us.